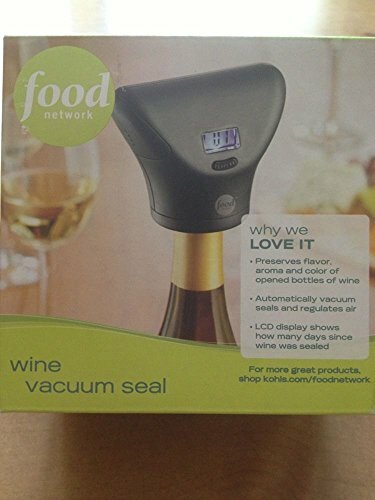 buy now $14.99 Food Network Wine Vacuum Seal. Preserves flavor, aroma and color of opened bottles of wine LCD display shows how many days since wine was sealed. In Original boxFood Network Wine Vacuum SealAutomatically Vacuum Seals & Regulates AirWith LCD DisplayPreserves Flavor, Aroma, Color!